No I'm not talking about the latest Hollywood star (male or female) I'm thinking weather, yarn and needles. 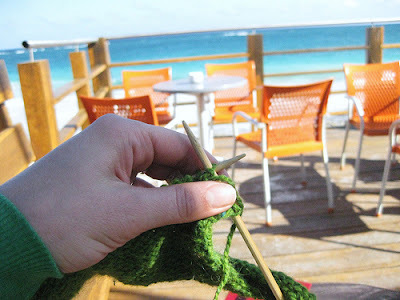 Sitting here in temperatures of 28 degrees, lovely as it is and I'm not complaining, it does seem a bit hot to be thinking about knitting! The owner said she was knitting a sock...planning ahead! The owner has circular needle - this is serious stuff! When/How do you put your suncream on ? 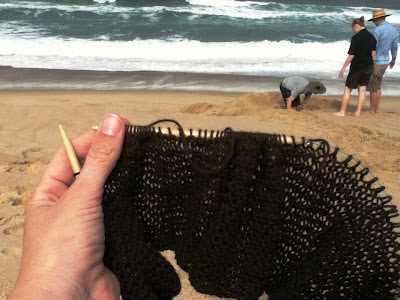 How do you get the sand out of your knitting ? In any event I only have to recall the historic link between wool and the beach to realise that there's nothing new in the idea of combining woolly knitting with a hot day and especially a hot day on the beach. 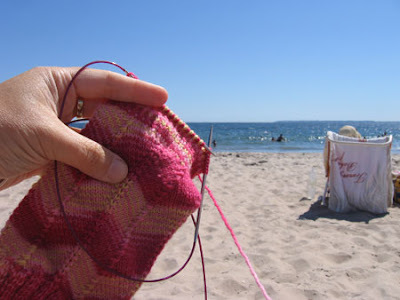 If you're tempted to give it a go there are vintage bathing suit patterns out there - just remember to knit that all important tension square first! When I can I'm making textile art or blogging about it; here's my gallery; or follow me on Twitter for knitting and textile art news. 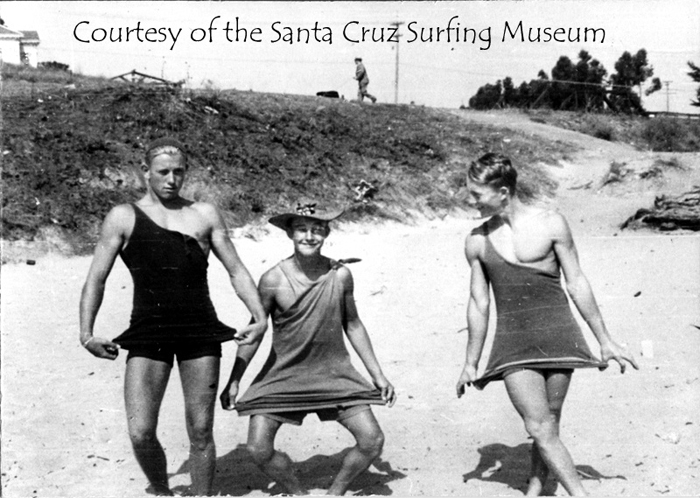 the surfing dudes photo has its own credit!